Allied Universal Training System - What is this site? 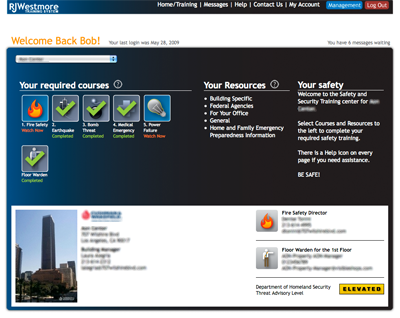 The Allied Universal Online Training System helps commercial buildings with compliance to fire life safety codes. Our interactive, building-specific e-learning training system motivates and rewards tenants instantly! It's a convenient and affordable solution to all of the training needs of your building(s). Choosing our service cuts property management training related workloads by 90% and saves you over 50% compared to conventional training! Most importantly, IT SAVES LIVES!